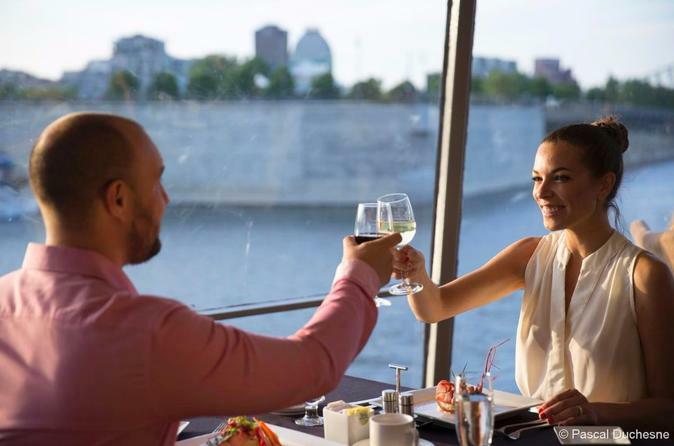 Cast off for fine dining aboard the Cavalier Maxim, Montreal's unique cruising restaurant. As the sun goes down, take in all the magic of Montreal by night. The fabulous view from the glass-enclosed decks sets the stage for a very special evening. The chef has prepared for you a meal worthy of the Captain's Table: fresh salmon fillet, chicken supreme, fillet mignon and not to mention the chef's delight -- always a favorite for dessert! (Menu subject to change.) Your wine steward will offer wine suggestions to complement your gourmet dinner meal. No dinner cruise is complete without music. Leave your cares behind and dance under the stars with Montreal and the islands as your backdrop.